The fundamental premise of the Sinfonia Varsovia Centrum is to create a unique location focused on music for the residents of Warsaw and for visitors to the city. The complex is more than just a few concert halls, including the largest hall in Poland, boasting a unique design and wonderful acoustics. 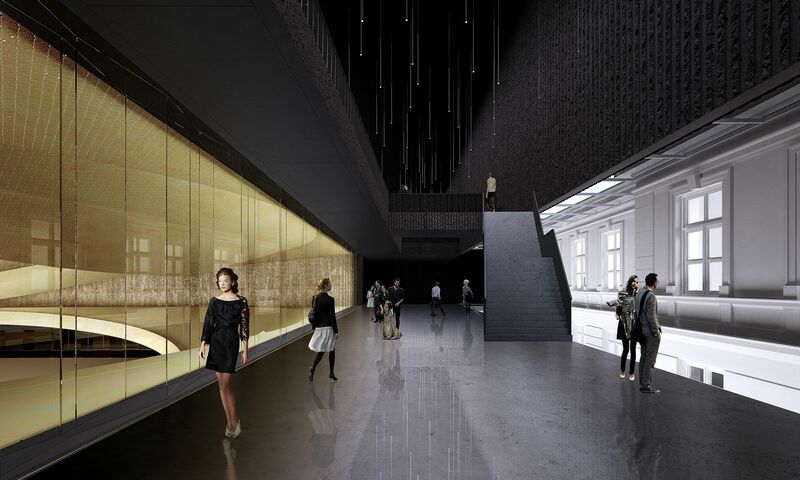 It also features educational facilities, including space for young artists (Sinfonia Varsovia Academy, artistic residences, rehearsal halls), a recording studio, conference room and facilities intended for visitors of all ages. There will also be many places designed simply for having a good time – a music store café, restaurant, a garden connected with the Park of Obwodu Praga AK and a gallery located 20 m above the ground for admiring the view of the Kamionek district and all of Warsaw. The construction of Sinfonia Varsovia Centrum is part of the Integrated Programme for the Restoration of the Capital City of Warsaw.